India’s Consumer Price-based inflation for March 2019 came in at 2.86% compared to 4.44% a month prior. Core CPI decelerated to 5.00% in March from 5.30% a month ago. India’s Index of Industrial Production (IIP) decelerated substantially to 0.1% in February as against growth of 1.7% in the previous month. Wholesale Price inflation (WPI) stood at 3.18% for Mar-19 compared to 2.93% in Feb-19 due to a sharp rise in vegetable prices and fuel. As widely anticipated, RBI reduced Repo Rate by 25 bps to 6.00%. Accordingly, the Reverse Repo rate and Marginal Standing Facility rate stand revised at 5.75% and 6.25% respectively. On expectations of modest deceleration in inflation, RBI revised its CPI projections downwards to 2.4% in Q4 FY19 (2.8% prev), 2.9-3.0% in H1 FY20 (3.2-3.4% prev) and 3.5-3.8% in H2 FY20 (3.9% in Q3 prev). Growth forecasts have been revised downwards to 7.2% in FY20 (7.4% prev) – in the range of 6.8-7.1% in H1 FY20 and 7.3-7.4% in H2 FY20. RBI reiterated its ‘neutral’ stance with incoming developments on monsoons, inflation and transmission of policy action serving as pre-requisites for further monetary easing. 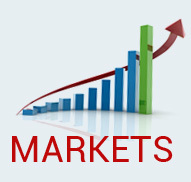 The call/notice/term money market is a market for trading very short term liquid financial.